The Harrogate Spring Flower Show, held each April at The Great Yorkshire Showground welcomes around 100 of the UK’s top plant nurseries as well as featuring the work of both established and up-and-coming designers and landscapers. Book to dine with us here. The spring show, which takes place in April (25 – 28 April 2019), was rated Britain’s best gardening event by Which?Gardening, with its sister autumn show (13 – 15 September 2019) ranking third in the country. The introduction of a new community category for Show Gardens has added further opportunities for amateur gardening groups to showcase their work to nearly 100,000 visitors and 1,000 exhibitors each year. The show provides visitors with a packed schedule of expert talks and demonstrations, horticultural inspiration via the show gardens and an opportunity to shop for gardening enthusiasts, food lovers and craft and gift fans. 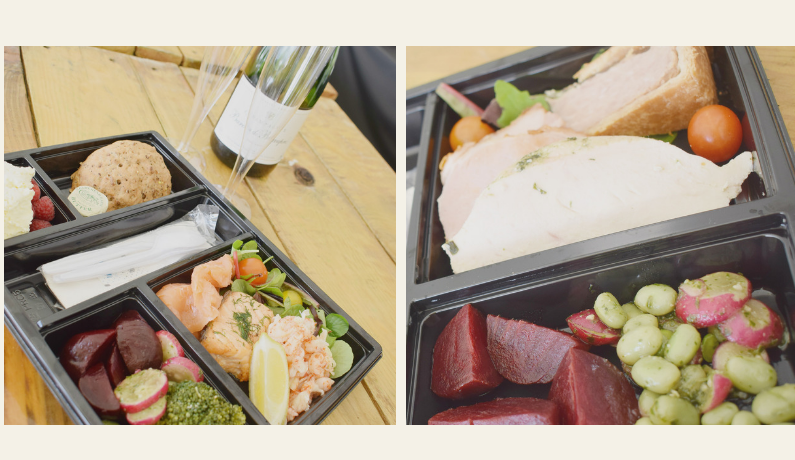 We’ve been catering partners to the show for over 20 years and are pleased to be able to provide visitors with the chance to retreat to the Greenfingers Restaurant for a relaxing lunch or to dine al fresco with one of our picnic platters. 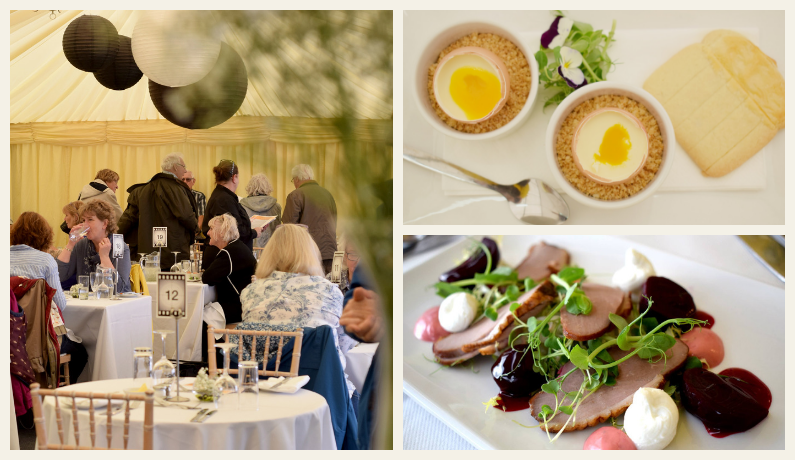 After a busy morning browsing at one of the UK’s biggest and most prestigious independent gardening events, why not treat yourself to lunch in the Greenfingers restaurant? Located in the heart of the show, the Greenfingers Restaurant offers diners a three course waitress served meal with a menu packed full of locally sourced produce. To view the menu click here. Pre-book your table to avoid disappointment and to guarantee your preferred dining time. Book online at cgceventbookings.co.uk or over the phone on 0113 287 6387. All three platters also include: Radish and broad bean salad, roasted red and gold beetroot, mixed leaf with cherry tomatoes, fresh bread roll and butter as well as fresh strawberries and cream. Bookings can be made over the phone on 0113 287 6387 or online at cgceventbookings.co.uk. All bookings to be made by 12 noon on Monday 22nd April 2019.